When we talk about innovation of materials for construction, inevitably, terms such as energy efficiency, sustainability, ecology, home automation and autonomy arise. Currently, it is becoming more common to find "show homes," located strategically in green areas, which try to combine these two concepts in what is known as future housing, eco-friendly houses and alike. Nonetheless, there is a need to clarify the diverse perspectives addressing these ideals: from houses with no-cost energy completely integrated with the surroundings and nature, to maximum high-tech solutions where the home automation, electronics, the artificial intelligence integration, minimalisms and new architectural concepts form the dominant tone. 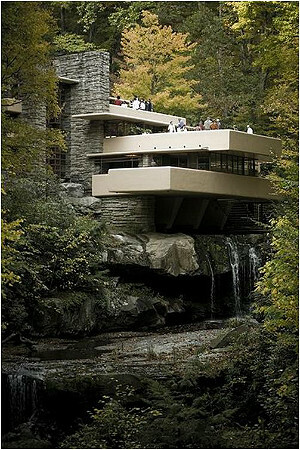 The natural integration style stems from the impressive work of "Fallingwater" by American architect Frank Lloyd Wright, who followed the organic architecture principles emphasized in the Wright School of Architecture. It basically consists of integrating in one (construction) unit, the environmental factors, use and function, native materials, the construction process and the human being or client. It is interesting to note that, while the owners wanted a house with views of the waterfall, Wright preferred building over or inside the waterfall. New concepts have been developing since the "most famous house in the world" that, by adopting the most innovative technological solutions, seek to go beyond the simple integration to nature. Currently, the concept of nanotechnology is closely linked to the innovation of materials. The potential of nanomaterials is considered, perhaps prematurely, the revolution of the 21st century. The development of the house of the future, the before-mentioned requirements included, demands a continuous innovation in new materials, such as polymers, whose versatility and capacity of being functional and intelligent confer new and attractive options. 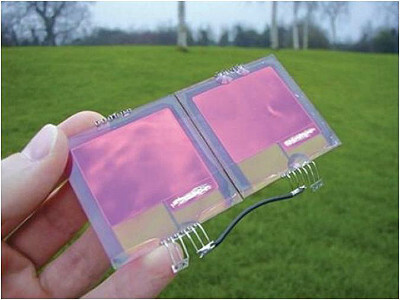 The development of new materials for capturing solar energy is an interesting concept in terms of energy efficiency. New organic pigments and nanocrystalyne structures could lead to an increment in the solar absorption efficiency. The structural integration of photovoltaic panels gives way to challenging new architectonic designs and efficiency. In line with this philosophy, the use of transparent nanopigments as solar concentrators that divert the solar radiation 90 degrees to the extremes allow the integration of solar collector systems into the exterior structure of the buildings. The development of photovoltaic paint that absorb into the spectrum UV-visible make full use of the large exposure surfaces. Other systems that optimize energy use, introduce the use of highly durable and efficient wind turbines, making use of the mechanically strong materials made of nanocomposites with carbon nanotubes or nanoclays, as well as superior biocidal properties. The storage of combustible gases (nytrogene and natural gases) can be optimized with the use of MOF nanocubes from ZnO. They capture and increase the transport capacity and storage up to 3-10 times. The energy efficiency of new buildings is closely linked to the thermal insulation capacities of the structural materials used. These kinds of innovative materials have, without a doubt, a promising future. 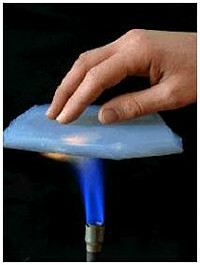 The aerogel belong to the new generation of nanofoams and consist of materials with superficial insulating properties (0.004 W/K•m), a density similar to the air density and fire resistant properties that are well worth mentioning. This material has been used, for many years, in the space industry as a high performance thermal insulator, but it is now when it is beginning to be used in civilian applications. Additionally, we must not forget the boom the phase change materials (PCMs) have been experiencing in the last few years for their contribution to thermal insulation. They are simple systems based on the encapsulation of a high calorific power substance that form facades or separator panels. Turning solids into liquids requires a great energy transition, absorbing or emitting large quantities of heat, contributing to the thermal stabilization in interiors and the obvious saving of heating and cooling systems. It is a relatively simple solution. In the development of home automation systems the use of materials with sensorial capacities, piezo-electric and piezoresistive performance, represents a milestone in terms of space integration and functionality. It would be interesting to name surfaces that react to the user's touch or to proximity, that transform a deformation into an electrical signal, with breakage detection, security systems, heat generation (underfloor heating) and even energy accumulators based on footsteps or on deformations. The new nanomaterials applied to construction elements allow the development of sensor systems for pollutants, bacteria or pathogens with an unusual sensibility level and, naturally, its integration into the building. Carbon nanotubes — or the highly acclaimed graphene — are materials that present a high electrical sensitivity to superficial modifications. If with chemical affinity we manage to secure selectively in its surface functional groups related to the pollutants or microbial agents, the presence of these in the environment will cause electrical changes in the surface of these nanomaterials, with the subsequent capacity of monitoring a signal corresponding to the environmental concentration of these pollutants. The biomimetic solutions, an imitation of nature, are clearly exemplified in the so-called "lotus blossom effect." The plant leaves have a clear hydrophobic nature in wet areas, in order to prevent water, humidity and dew, from impregnating the surface and serve as a vehicle for the growth of bacterial strains, fungal colonies and other problems. 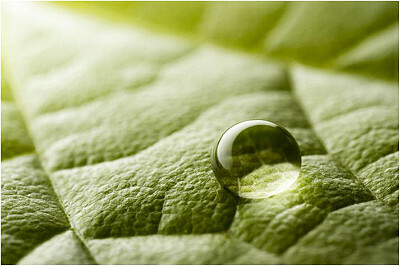 The hydrophobic mechanism is based on the presence of a great hierarchical roughness on a micro- and nanometric level. Such a solution can be applied to exterior surfaces or floors in buildings and confer the property the so-called self-cleaning function, avoiding the accumulation of dust and filth, since the water sweeps along all solids found on the surface. Combining this effect with the presence of catalytic substances such as titanium dioxide, that decompose organic matter in combination with UV radiation, the completion of the cleaning effect is made possible (oils, grease, fungi). This is but the tip of the iceberg. Many possibilities of materials are appearing every day. Innovating possibilities of design, composite materials with elevated structural properties that allow new architectural solutions, mortar, fast-setting cement with superior mechanical properties, reducing thus process time, have not been discussed. It is a true revolution with high expectations for the future of a century that has just begun. Adolfo Benedito has PhD in chemistry from the University of Valencia, focusing on ABS copolymer degradation and recycling capabilities. Since 2001, he has been working at AIMPLAS as head of the compounding department until 2009, and currently as head of materials research department. He has been the main technical responsible for several EU-research and national projects, as well as author and co-author of several papers and book chapters focused on nanotechnology applied to polymeric materials.